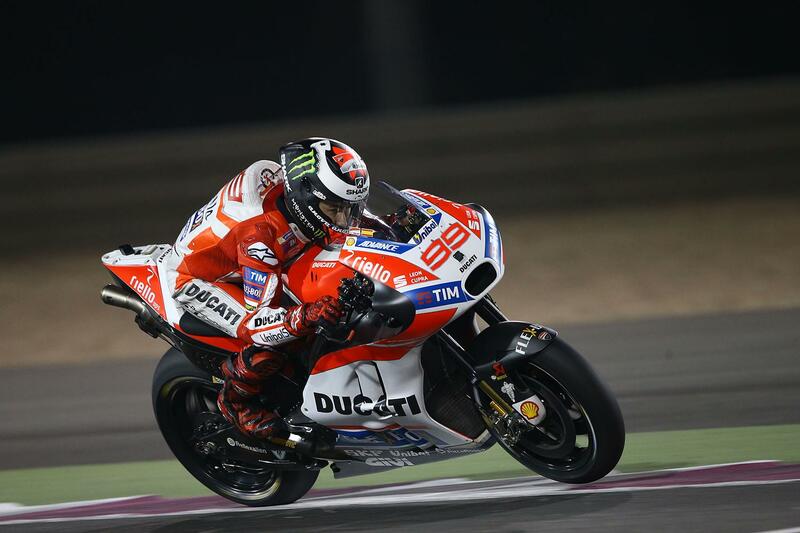 Jorge Lorenzo says he’s going into the opening round of the 2017 MotoGP season ‘confident and optimistic,’ after coming away from the final preseason test at the Losail circuit last week delighted with his final progress on the Desmosedici GP17. Spending most of the winter adapting to a radically different machine after a decade on Yamaha machinery, he says that he’s confident that they’ve done what needed to be done to be competitive this weekend. “After the last test a few days ago on this circuit, I will be approaching the first race of the season in a confident and optimistic mood. The Losail circuit is a track that I like a lot and the characteristics of my Ducati adapt well, so I’m sure we’ll be quick right from the start. His teammate on the other side of the Ducati garage is equally as excited about his chances this weekend, though, looking to build on strong form at the Losail track in recent years. “In the test ten days ago at this circuit we did a good job, and so we come here ready for the different conditions that we might find. I’m pleased we were able to confirm our good performance and the bike’s competitive level, so I think we can aim for a good result. As always at the start of the season we still have a few aspects to resolve, especially for the race, because at this circuit it’s not easy to keep the same pace for 22 laps and the nature of the track takes away a lot of energy.